THANK YOU TO THE SOUTHEAST GEORGIA HEALTH SYSTEM! 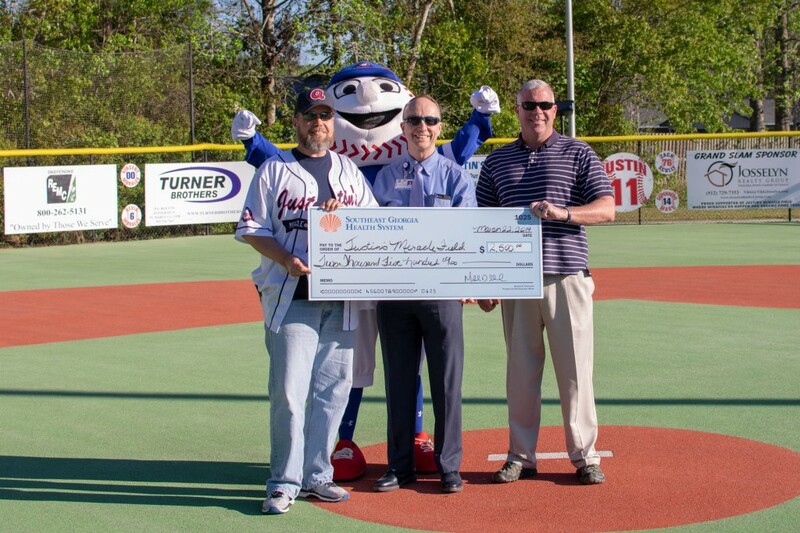 Justin’s Miracle Field was selected by Dr. Whitesell, Mr. Howard Sepp and the Southeast Georgia Health System staff to receive this super generous donation! Thank you so much for supporting our program and believing in what we do!